Background: Placenta has long been a neglected organ as far as its pathology is concerned. This study is an attempt to observe the morphological features of placentae both gross and microscopic in normal pregnancy, preeclampsia, and eclampsia. Materials and Methods: A total of 150 placentae were collected; of these, 50 belonged to normal pregnancy, 50 belonged to pre-eclamptic women, and 50 were from patients of eclampsia. Results: Placental trimmed weight was seen to be decreased in patients of preeclampsia and eclampsia. Placental infarcts were more commonly seen in the diseased group and they were more centrally located. Hypertrophy of the spiral arterioles was observed in the decidual portion found in placental disc and membranes. 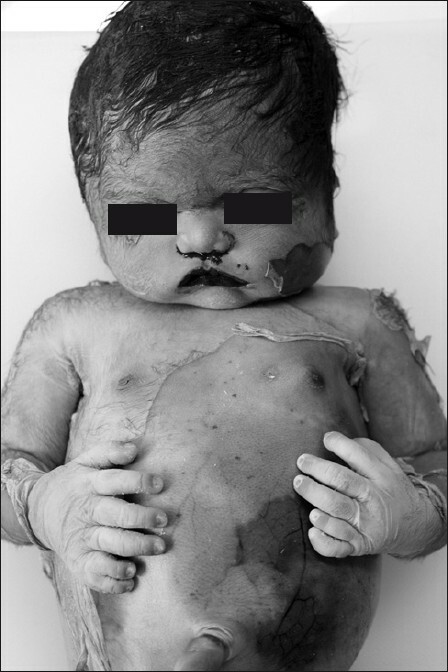 Distal villous hypoplasia was also frequently seen in the diseased group. 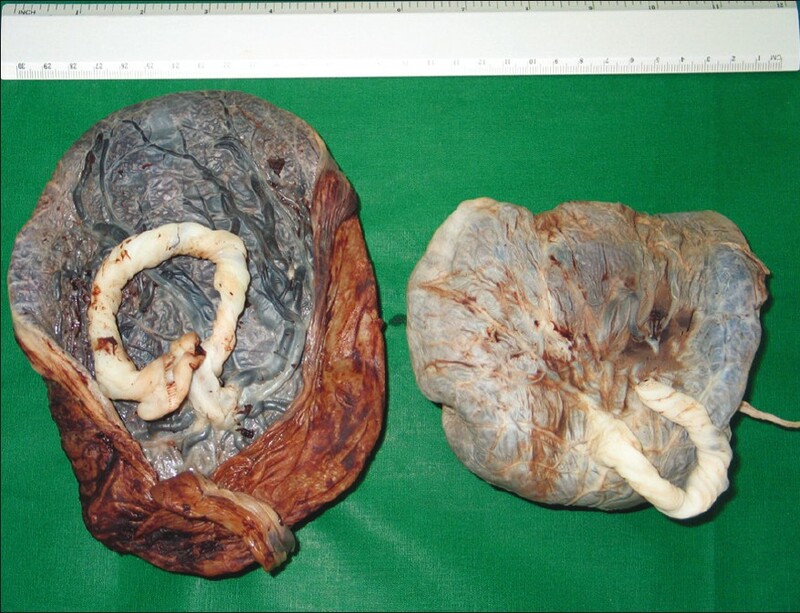 Fetal membranes were thickened and showed infarcts in preeclampsia and eclampsia. Conclusions: Morphological features seen in eclamptic placentae were similar but exaggerated compared to preeclampsia. In conclusion, the pathological changes were found to be more severe and frequent in preeclampsia and eclampsia, but more so in eclamptic placentae as compared with placenta of normal pregnancy. CD56 immunomarker was also used to identify NK cells. They were found to be present only in the diseased group and were located in the decidual portion of the basal plate, implicating their role in the development of the disease. Background: Hepatitis E is being increasingly recognized as an emerging infection in developed countries. 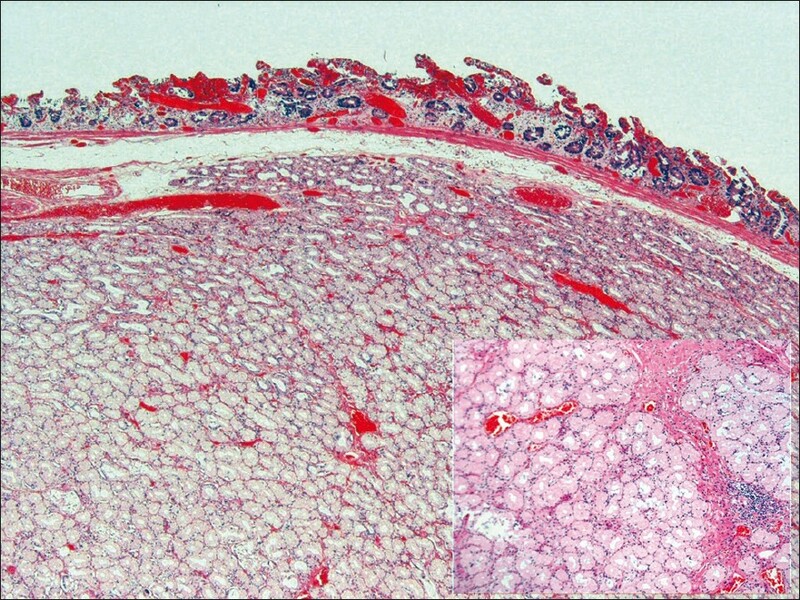 Data on histological findings and nature of inflammatory cell infiltrate in liver in this disease are quite sparse. 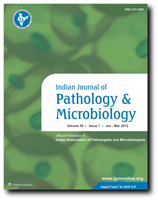 Aims: This study was planned to study the histological features and the type of inflammatory infiltrate in liver biopsies of patients with acute fulminant hepatitis E. Materials and Methods: We retrieved postmortem liver biopsies of 11 Indian patients with fulminant hepatitis E, and compared these with biopsies from seven patients with fulminant hepatitis B. Results : Biopsies from acute fulminant hepatitis E showed varying degrees of hepatocyte necrosis, mixed portal and lobular inflammation, accompanied by bile ductular proliferation, lymphocytic cholangitis, Kupffer cell prominence, cholestasis, apoptotic bodies, pseudo-rosette formation, steatosis, and presence of plasma cells in portal tracts. Interface hepatitis was more frequent in acute hepatitis B than in acute hepatitis E (100% vs 20%; P<0.05). These findings differ from those reported in cases with autochthonous hepatitis E in Europe. On immunohistochemistry, lymphocyte infiltrate consisted predominantly of CD3 + T cells in both hepatitis E and hepatitis B; these cells contained a predominant cytotoxic (CD8 + ) cell subpopulation in 81.8% of cases with hepatitis E and in 50% of cases with hepatitis B. Conclusion: Our findings suggest that histological changes in HEV infection may vary with geographical location because of prevalent HEV genotypes, and that CD8 + lymphocytes play a role in HEV-induced liver injury. Context: The need to perform reporting of renal biopsies of antineutrophil cytoplasmic antibodies (ANCA)-associated vasculitides in a more uniform manner required relook at our eight-year data. Aims: To document detailed renal histopathology of pauci-immune rapidly progressive glomerulonephritis (RPGN) and also to seek any significant differences in renal histology of C-ANCA-positive, P-ANCA-positive, and ANCA-negative patients. Materials and Methods: A detailed analysis of the histopathologic features of renal biopsies of 48 patients in whom a diagnosis of pauci-immune glomerulonephritis was concluded on renal biopsy and who presented clinically as rapidly progressive renal failure was done. Statistical Analysis Used: One-way ANOVA and Pearson Chi square tests. Results: Compared with ANCA +ve patients, the ANCA -ve patients were much younger (46.85 ± 16.12 years vs 34.28±15.94 years). No significant differences were found between renal lesions of C-ANCA, P-ANCA, and ANCA-negative patients, except for diffuse tubular atrophy which was more severe and more frequently present with P-ANCA positivity (P value=0.013). Conclusions: Pauci-immune RPGN (irrespective of ANCA status) is a relatively rare disorder in patients who are undergoing the renal biopsy at our institute, constituting 2% of all renal biopsies submitted. 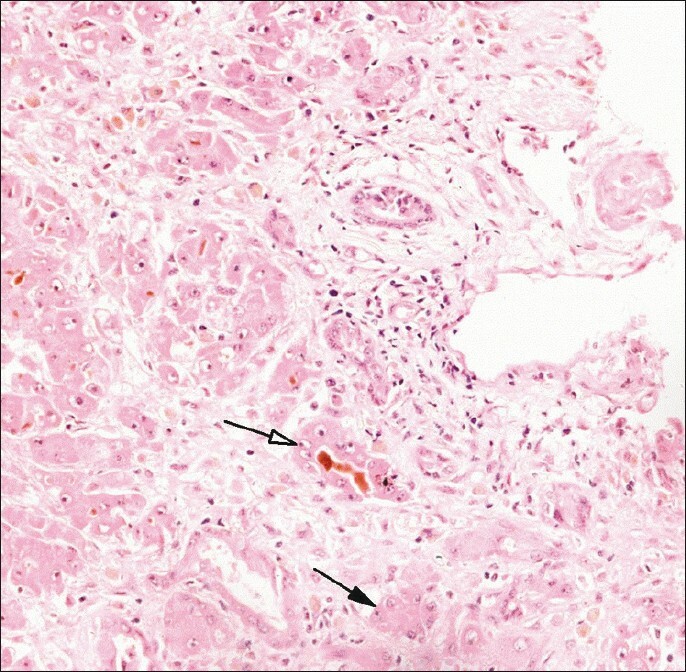 It is mandatory to have ANCA serology status during reporting of a kidney biopsy showing pauci-immune crescentic or necrotizing glomerulonephritis. Also, if a uniform reporting strategy is followed throughout the country, the studies from this vast country will be comparable. Background: This study aims to evaluate the expression of estrogen receptor alpha (ER α), progesterone receptor A (PRA), Her-2-neu, p53, and Ki-67 in epithelial ovarian tumors and their correlation with various clinicopathologic variables. 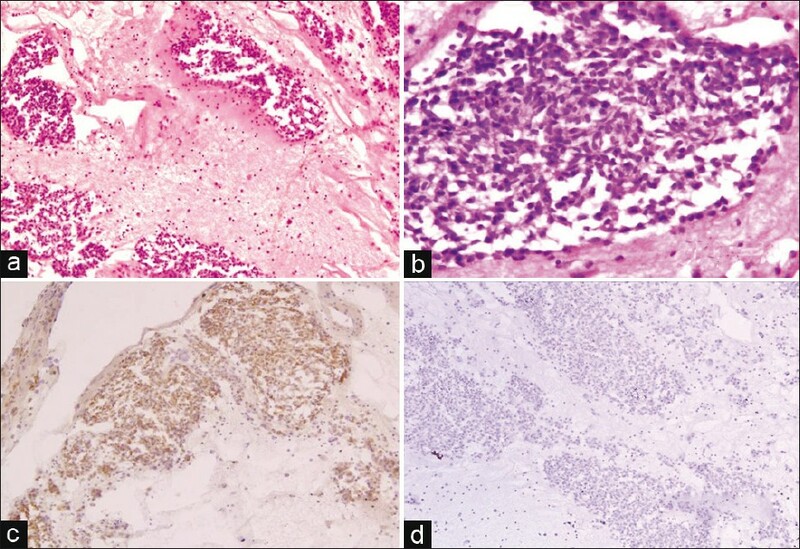 Materials and Methods: This study included 60 consecutive cases of epithelial ovarian tumors. Sections of 4 μm were taken from paraffin embedded tissue blocks for immunohistochemistry (IHC). Statistical analysis was done using Chi square test, ANOVA. Results: ER α had lower expression in benign (29%) and PRA higher expression in malignant (63.6%) tumors. ERα, PRA had higher expression in serous (72.72%, 57.14%), postmenopausal (81.8%, 71.42%), advanced stage (63.63%, 52.38%), grade 3 (45.45%, 38.09%), and tumors with ascites (90.90%, 85.7%). Her-2-neu, p53 were negative in benign and higher in malignant (21%, 57.6%), serous (71.42%, 57.89%), grade 3 (57.14%, 31.57%), and tumors with ascites (85.7%, 84.21%). Ki-67 had a significant higher expression in malignant (48.6± 26.76), serous (55.43± 27.85), and grade 3 tumors (68 ± 22). CA-125 levels were significantly higher in malignant, serous, advanced stage, grade 3 and ER α, Her-2-neu and p53 positive tumors. Conclusion: ERα, PRA expression in tumors with adverse prognostic factors support the mitogenic role of estrogen and estrogenic regulation of PR. Her-2-neu and p53 expression only in malignant tumors suggest their carcinogenic role and aid in the differentiation of borderline and malignant tumors. Higher Ki-67 in tumors with adverse prognostic factors would help in prognostication and differentiation. 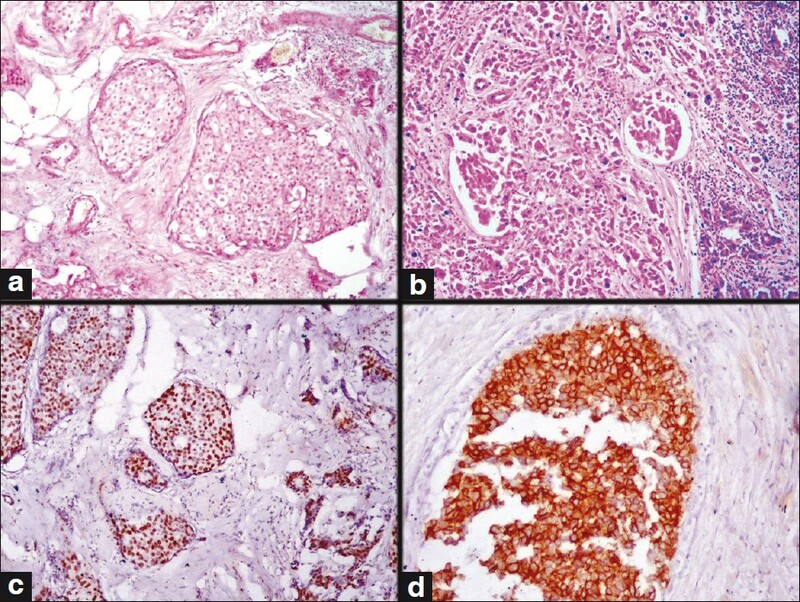 Lack of co-expression of markers proves the extreme heterogeneity of ovarian tumors. These markers may aid in differentiation and prognostication of ovarian tumors. Introduction: The number of lymph nodes (LNs) retrieved from a specimen of colorectal carcinoma may vary. 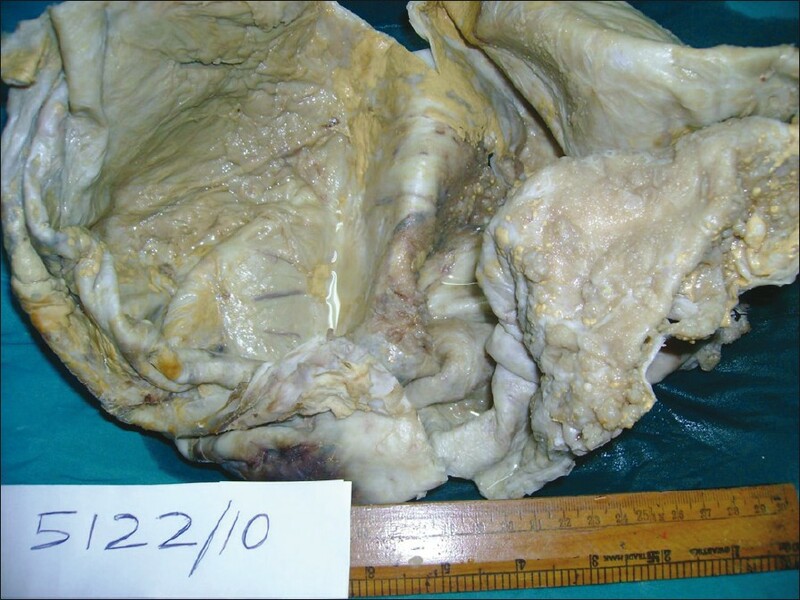 Factors that can possibly affect LN yield are age of the patient, obesity, location of the tumor, neoadjuvant therapy, surgical technique and pathologist's handling of the specimen. Aim: The aim of our study is to look at lymph node retrieval from colorectal cancer (CRC) specimens in our hands and review the literature. Materials and Methods: From May 2010 to January 2011, a total of 170 colorectal carcinoma cases were operated in our institute. Type of the surgeries, lymph node yield was looked at. Results: There were 103 (60.6%) males and 67 (39.4%) females. The commonest age group was 50-59 years (30.6%). The surgeries included 107 surgeries for rectal carcinoma (63%) and 63 surgeries for colonic carcinoma (37%). Sixty six (38.8%) cases had received preoperative chemoradiotherapy, whereas 104 (61.2%) cases were without adjuvant therapy. The total lymph node positivity (metastatic disease) was 44.7% .The overall mean lymph node yield was 12.68 (range 0-63; median 11). The mean lymph node harvest in the age group < 39 was 15.76 whereas, the lymph node harvest in the group more than 39 years old was 11.90. ( statistically significant; P=0.03). The mean lymph node yield from specimens of rectal cancers (10.30) was lower than the mean lymph node yield from specimens for colonic cancers (16.71);( statistically significant, P<0.01). There was also statistically significant difference between the mean LN yield in chemoradionaiive cases (14.63) and in the cases where neoadjuvant therapy was received, (9.59); P<0.01. Conclusion: Pathologist while assessing a specimen of CRC should aim to retrieve a minimum of 12 LN. Surgical expertise and diligence of the pathologists remain two main alterable factors that can improve this yield. Neoadjuvant or preoperative radiotherapy can yield in less number of nodes. Aims and Objectives: This study was aimed at analyzing the prevalence of molecular phenotypes in invasive ductal carcinoma (IDC) and coexisting ductal carcinoma-in-situ (DCIS) and to correlate with clinicopathological features. Materials and Methods: In this study, 75 cases of IDC with coexisting DCIS were included. Molecular phenotype was determined using expression of estrogen receptor, progesterone receptor, HER2/neu, and cytokeratin 5/6. Statistical analysis was performed for correlation between molecular phenotypes and clinicopathologic parameters. Results: Of the 75 cases, the invasive component in all cases was IDC-not otherwise specified. About one-third of our patients were post-menopausal. The most common molecular phenotype was luminal A (45.3%) followed by HER2-expressing type (24%). In all cases, the molecular phenotype was identical in DCIS and the invasive component. 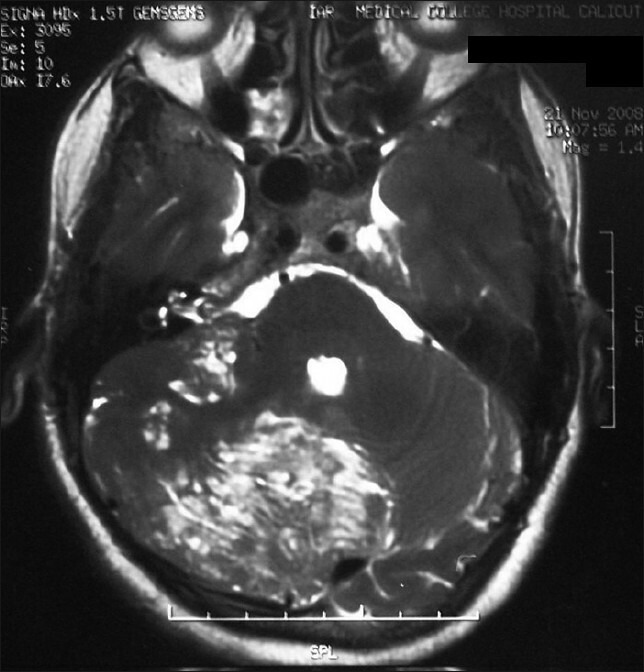 HER2-expressing tumors were found to be larger in size with frequent nodal involvement. On statistical analysis, tumor size and grade were found to correlate with the molecular phenotype. Conclusion: In conclusion, the molecular phenotype in DCIS correlates well with that of coexisting IDC, suggesting that DCIS is a precursor lesion in these tumors. This correlation of molecular phenotype can be utilized in prediction of phenotype of the invasive component in a case with in-situ carcinoma. Background: Platelets release more than 30 cytokines to provide primary hemostatic function. In addition, platelets are also known to release antimicrobial peptides upon activation by thrombin. Materials and Methods: In this study, comparative analysis of antibacterial activity of activated and non-activated expired platelet concentrate was determined against Gram-positive and Gram-negative bacteria by Kirby-Bauer disk diffusion method. Thrombin was used to prepare activated platelet concentrate. Gram-positive bacteria tested in this study were S.aureus and S.pyogenes and Gram-negative bacteria were E.coli and K.oxytoca. All the bacteria used in this study were sensitive strains from clinical isolates. Activated and non-activated platelet showed no zone of inhibition against S.pyogenes and E.coli. Results: Activated platelet showed antibacterial activity against S.aureus and K.oxytoca with the zone of inhibition of 8.3 ± 0.6 mm and 7.7 ± 0.2 mm, respectively. 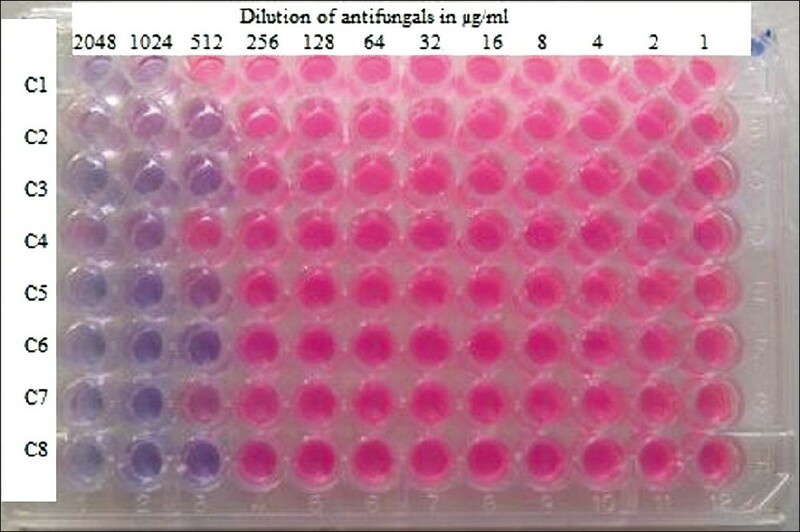 Zone of inhibition observed in non-activated platelet against S.aureus and K.oxytoca were 7.8 ± 0.4 mm and 7.5 ± 0.3 mm, respectively. Conclusions: These findings showed that no significant differences in antibacterial activity produced by activated and non-activated platelet. 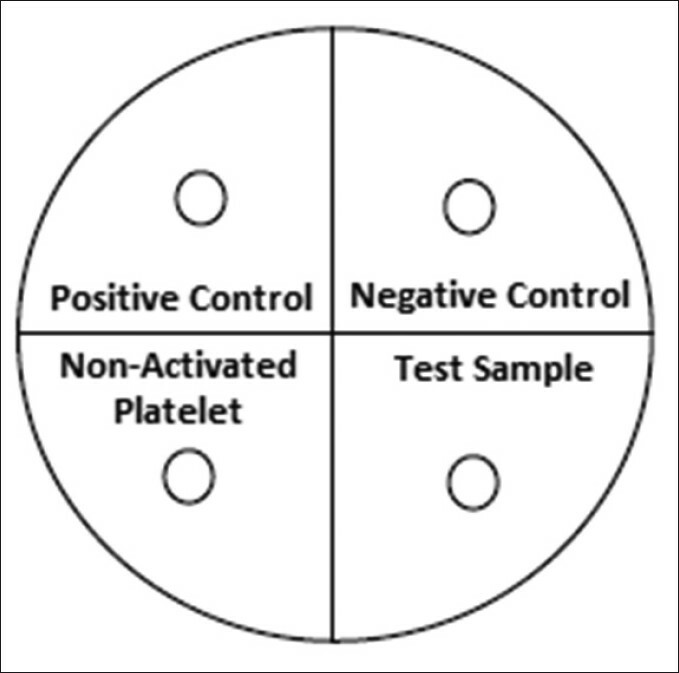 However, zone of inhibition observed in activated and non-activated platelet indicate the presence of antibacterial property in expired platelet. Introduction: Cervical cancer is one of the most common female malignancy with high mortality rates in developing countries. Our purpose was to determine the prevalence of cervical cytologic abnormalities in population (strict Islamic religious area) and the detection rate of epithelial abnormalities by cervical cytology (CC). Materials and Methods: A total of 32,026 conventional pap smear tests collected between January 2006 and January 2010 from three hospitals are retrospectively analyzed. 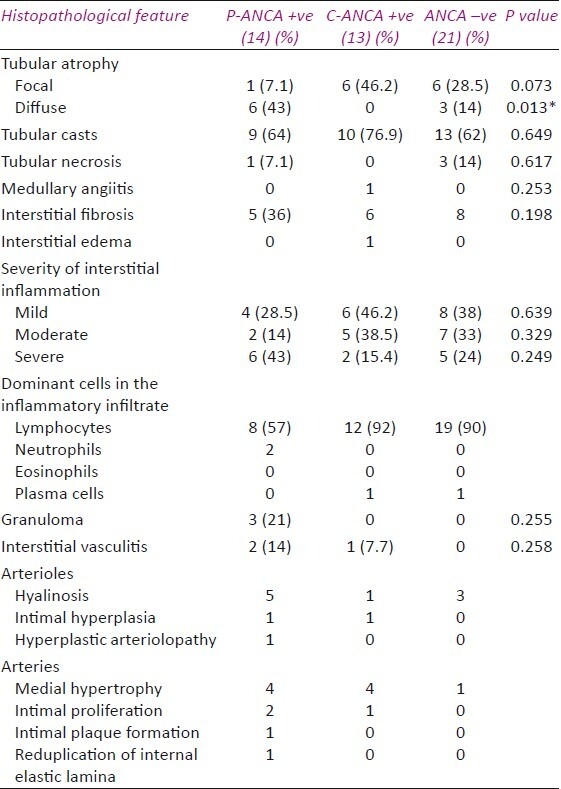 Results: Total of 900 (2.8%) cases had epithelial abnormalities. The numbers and rates of epithelial abnormalities were as the followings: Atypical squamous cell of undetermined significance (ASCUS; n=615 [1.9%]); atypical squamous cell suspicious for high-grade squamous intraepithelial lesion (ASC-H; n=27 [0.1%]); atypical glandular cell of undetermined significance (AGUS; n=73 [0.2%]); low- grade squamous intraepitelial lesion (LSIL; n=147 [0.5%]); high- grade squamous intraepithelial lesion (HSIL; n=35 [0.1%]); and squamous cell carinoma (SCC; n=3 [0.0%]). Conclusion: The prevalence of cervical cytological abnormality in our study was 2.8%. Recently, some conflicting results from the same population were published. More prospective studies with larger numbers are needed. Background and Objective: Psoriasis is a chronic inflammatory skin disease characterized by hyper-proliferation, abnormal differentiation, and inflammatory infiltration in epidermis and dermis. We planned this study to analyze probable associations between Osteopontin (OPN), Ki-67, CD34, and histopathological features in psoriasis. Materials and Methods: We studied OPN expression and its correlation with Ki-67 and CD34 expression in lesional, non-lesional skin, and normal skin. 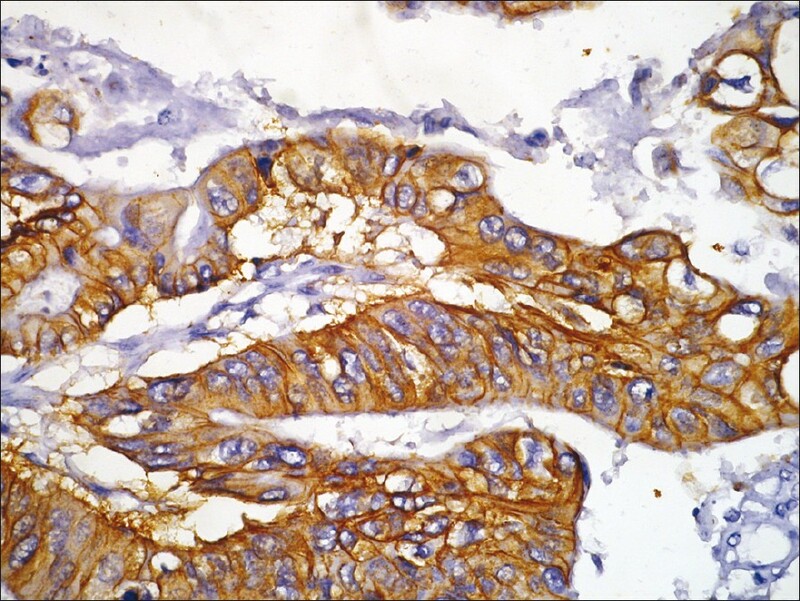 Immunoreactivity for OPN and Ki-67 was based on the level of epidermal staining. CD34 expression was scored as mild, moderate, and strong, according to the number of stained dermal capillaries. Results: Our results showed statistically significant differences in the expression of OPN, Ki-67, and CD34 between lesional and non-lesional skin as well as between non-lesional skin and control group (P≤0.001). In addition, there was a significant difference in the expression of OPN, Ki-67, and CD34 between control and lesional group (P=0.02, P=0.02, and P=0.04, respectively). Conclusions: OPN expression seems to be related to Ki-67 (proliferation index) and CD34 expression (angiogenesis marker) confirming its role in the pathogenesis of psoriasis. Then "anti- OPN and anti-angiogenesis" may eventually become a useful therapeutic approach in psoriasis. 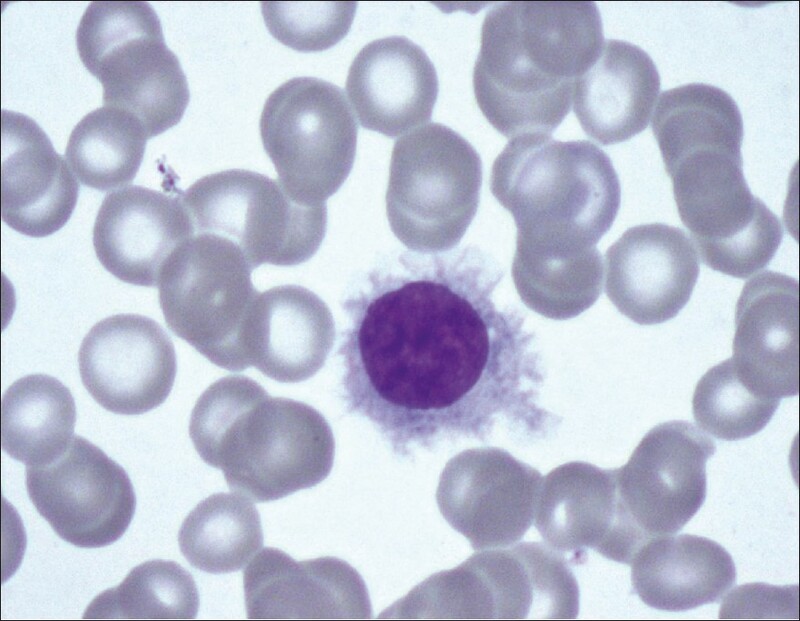 Context: Hairy cell leukemia (HCL) is a rare, low grade, B-cell neoplasm with a characteristic morphologic and immunophenotypic profile. It has to be distinguished from chronic lymphoproliferative disorders because of different treatment protocol and clinical course. Aims: To evaluate clinicopathological features including immunophenotypic analysis of cases diagnosed as HCL. Materials and Methods: The present study included 28 cases diagnosed over a period of nine years (2002-2010). Clinical presentation, complete blood count, bone marrow aspirate, and flow cytometric analysis of cases were reviewed. Treatment and follow-up details (ranging from 3-90 months) were noted. Results: This study revealed 28 cases (referrals-7, indoor-21), aged 26-69 years with a median age of 47 years, with a male predominance (M:F=6:1). The presenting complaints were weakness (80%) followed by fever (56%) and abdominal pain. Physical examination revealed splenomegaly in most patients (92%) and hepatomegaly in a minority (28%). 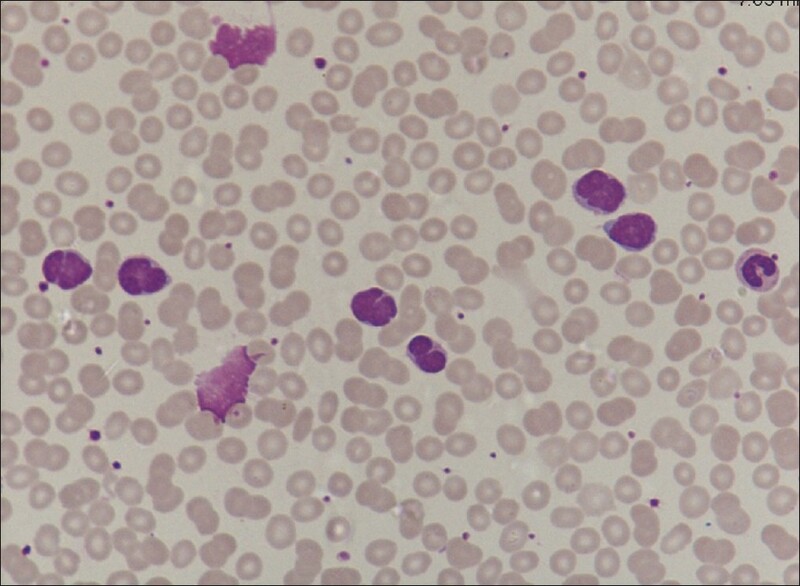 The common laboratory features were anemia in 23 cases, pancytopenia in 14 cases, while two patients had leukocytosis and three patients had normal WBC count. Dry tap was observed in 84% of the cases where hairy cells constituted 16-97% of non-erythroid nucleated cells. Tartarte resistant acid phosphate staining was positive in all the eight cases where it was done. CD5 was negative in all the cases, while CD10 was expressed in three cases (13%) and CD23 in five cases (19%). Conclusions: Though pancytopenia is common, occasional patient can present with normal blood counts or leukocytosis. Few unusual findings include presence of lymphadenopathy, absence of palpable splenomegaly, and expression of CD23 and CD10 by the leukemic cells. 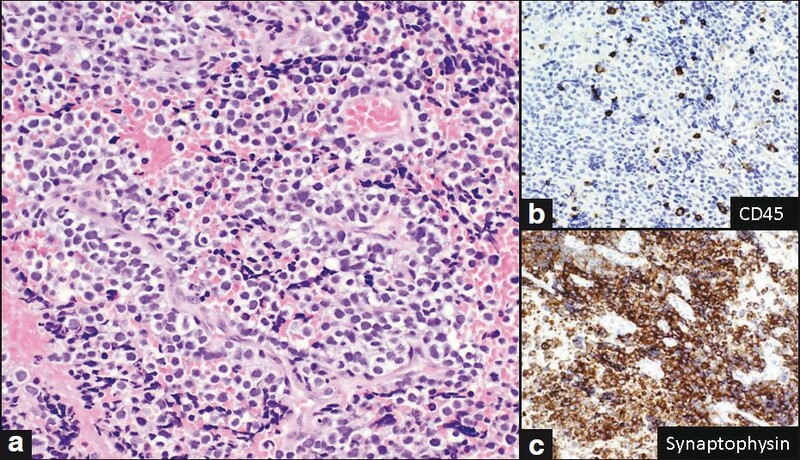 Background: Leukemic involvement in mantle cell lymphoma (MCL) is common, and can be secondary to nodal or extranodal disease or can be de-novo. There is paucity of literature that describes the morphological spectrum. Aim: This study was aimed at studying the morphological spectrum of leukemic MCL and to correlate the morphology with other features. Materials and Methods: Twenty six such cases diagnosed over a period of four years were studied. 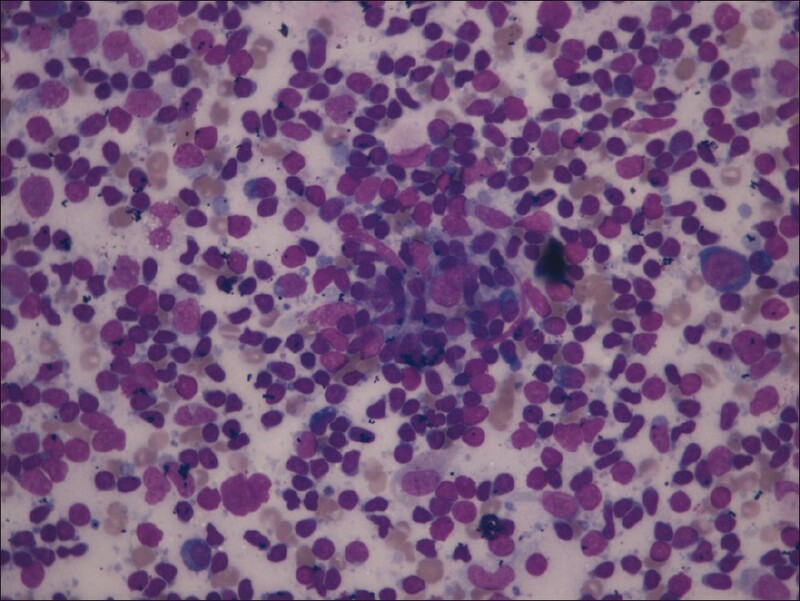 Peripheral blood and bone marrow aspiration smears stained with Wrights stain were examined by three hematopathologists. Immunophenotyping was done using multicolor flow cytometry. Fluorescence in situ hybridization (FISH) done in 12 cases showed t(11;14)(q13:q32). 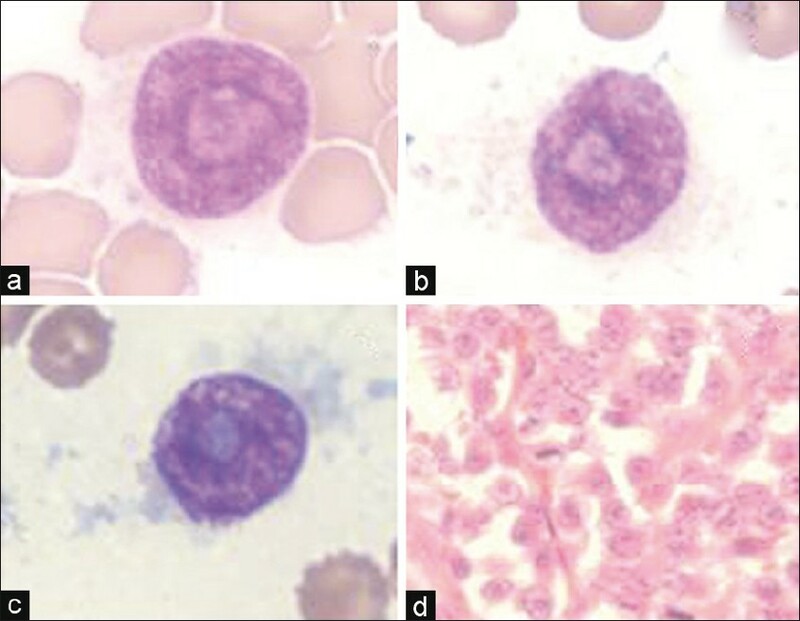 Results: Six cases had de-novo leukemic involvement; while 20 cases had secondary involvement. Morphologically, the cells were small (less than twice the size of red blood cell) or large. Small cell morphology in turn showed irregular nuclear border (n=13) or round nuclear contour (n=6). 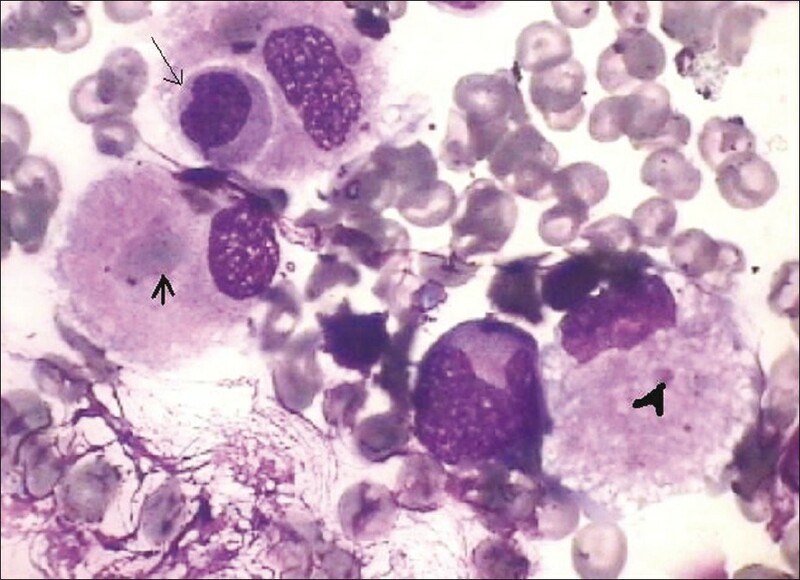 Large cells had blastic morphology (n=5) or had central prominent nucleoli resembling prolymhphocytes (n=2). Twenty cases showed characteristic immunophenotype of CD5+/CD19+/CD20+/FMC7+/CD10-/CD23- and light chain restrictions. Three cases expressed CD23 and two cases were negative for FMC7. Five out of 12 cases, where FISH was done, showed cytogenetic abnormalities in addition to t(11;14)(q13;q32). 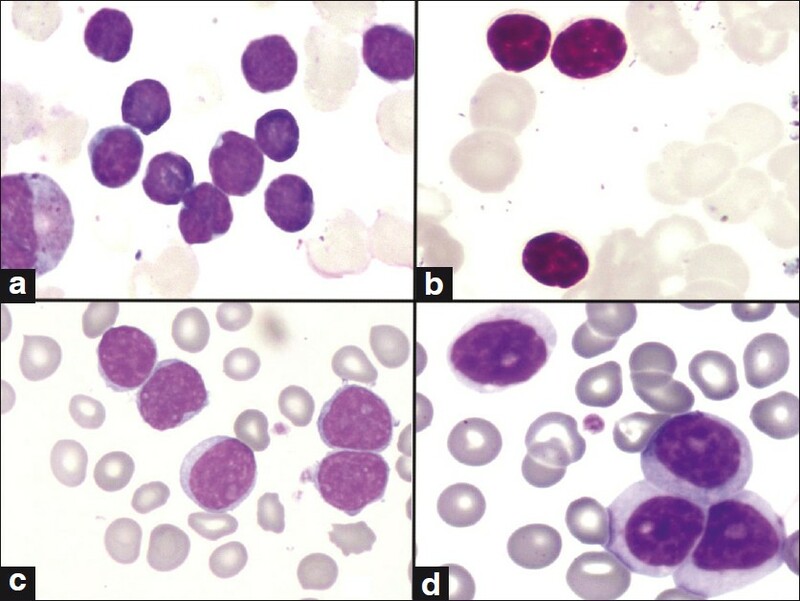 Conclusion: Morphological spectrum of leukemic MCL ranges from small cells resembling chronic lymphocytic leukemia (CLL) or follicular lymphoma (FL) to large cell mimicking prolymphocytic leukemia (PLL) or acute leukemia. Large cell morphology was associated with more frequent additional cytogenetic abnormality as well as a poorer outcome. Background: C.tropicalis is an important cause of nosocomial infections particularly in immunocompromised patients. Infections caused by Candida spp. are often associated with biofilm formation on implanted medical devices or on epithelial cell surfaces. 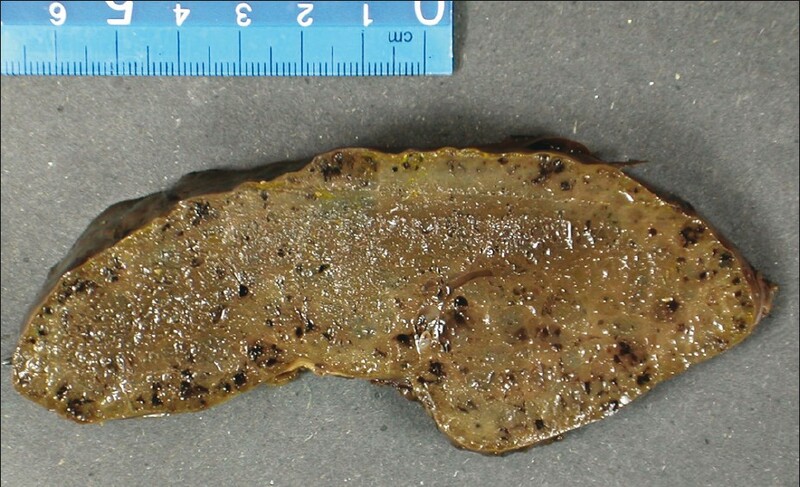 Phenotypic characteristics of sessile cells in biofilms are known to be different from those of their free-living, planktonic counterparts. Biofilm forming strains often show increased resistance to antimicrobial agents. Materials and Methods : We measured susceptibility to fluconazole of fifty C.tropicalis isolates from immunocompromised (29) and immunocompetent (21) patients by minimum inhibitory concentration (MIC) and minimum biofilm inhibitory concentration (MBIC) assays. MBIC was done using the calorimetric indicator resazurin, to measure the metabolically active cells. Results : Biofilm forming cells showed increased resistance to fluconazole. Conclusion : The resazurin dye test was found to be a good method for determining MBIC. Background: Gallbladder cancer (GBC) is a lethal malignancy presenting at an advanced stage. The pathogenesis is not well categorized, and surgery is the only treatment available at the early stage of the disease. There have been few reports on role of growth factor receptors in GBC. C-erbB2 is one such receptor whose over-expression is being explored in GBC as one of the factors involved in carcinogenesis and possible target for therapy. Materials and Methods: One hundred and four consecutive cases of GBC were retrospectively studied with regard to clinical features, histological type, grade and stage of tumor. Immunohistochemistry for C-erbB2 was done and expression was correlated with different clinic-pathological parameters and survival. Results: C-erbB2 overexpression was seen in 9.4% cases with complete staining and both complete and incomplete staining (2+ and 3+) was seen in 13.4% cases. Eighty percent of the C-erbB2 over-expressed cases were well differentiated and in stage II to stage IV disease. Dysplasia adjacent to carcinoma did not show any expression. No correlation was found with tumor grade, stage, gall stones, and patient survival. Xanthogranulomatous inflammation was inversely correlated with C-erbB2 over-expression. Median survival was 30 months in C-erbB2 over-expressed cases, and 12 months in C-erbB2 negative cases. Conclusion: We found complete membranous staining of C-erbB2 in 9.4% of GBC which was frequent in well differentiated and stage II to stage IV tumors. C-erbB2 tumors had longer median survival than C-erbB2 negative tumors. C-erbB2 is not involved early in the carcinogenetic process as none of the dysplasia showed expression. C-erbB2 over-expression may be considered as target for therapy in advanced stage of GBC. 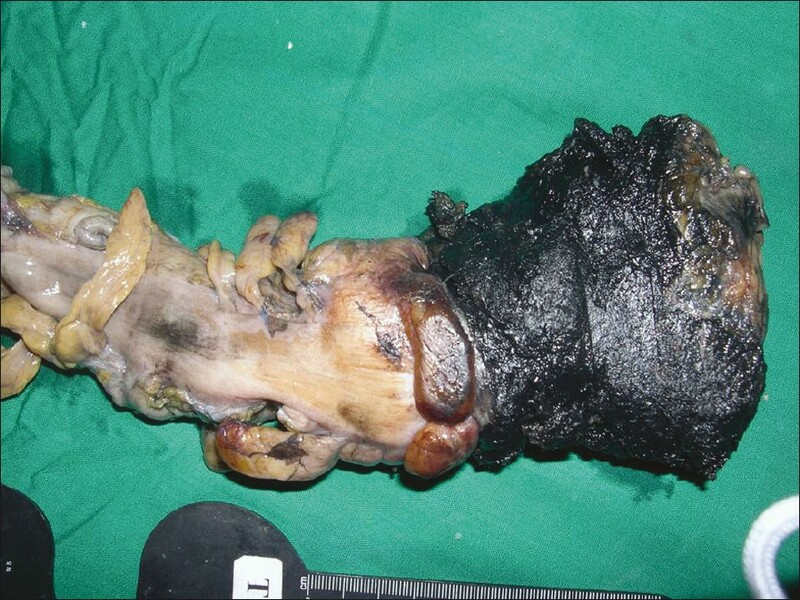 Extraskeletal myxoid chondrosarcoma is a rare soft-tissue sarcoma, mostly occurring in the proximal extremities and limb girdle. Majority of the patients are in fifth and sixth decades of life with male preponderance. 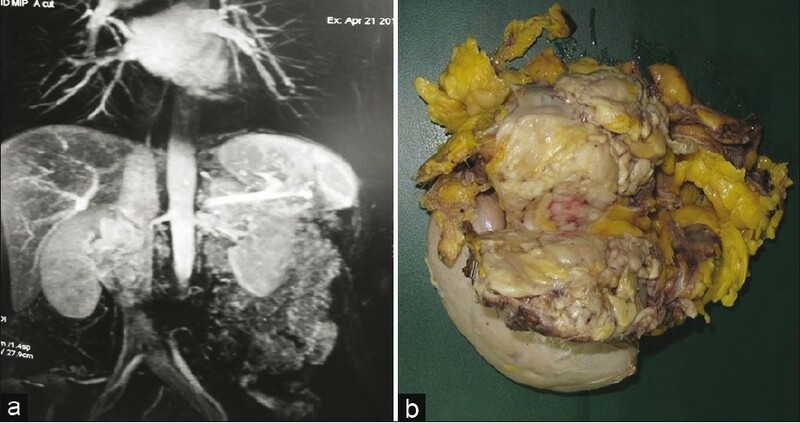 We report here a case of primary extraskeletal myxoid chondrosarcoma of the uterine adnexa involving the broad ligament and fallopian tube synchronously without any evidence of uterine/ovarian involvement in a young multiparous female of 27 years. 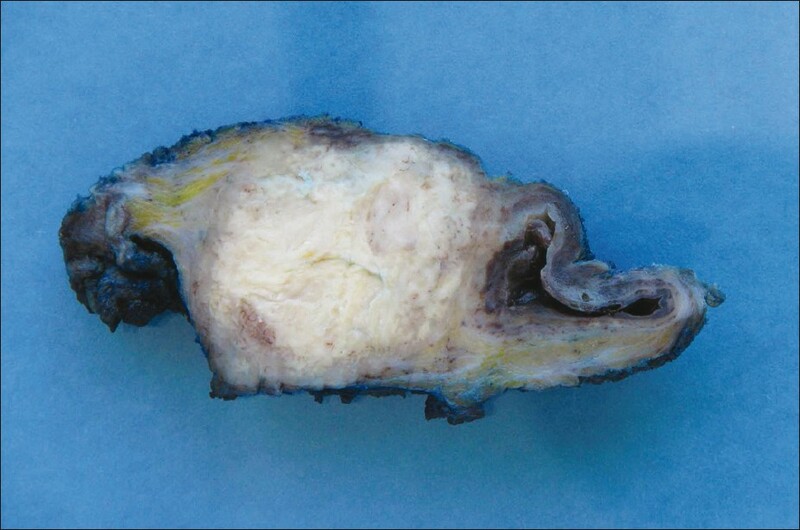 After the histopathological diagnosis, re-excision of the tumor bed with wide local margins was recommended. Since the tumor has an aggressive course, with propensity for late recurrence and metastases to lungs, the patient must be considered for long-term follow-up. Vascular leiomyosarcomas are rare tumors, arising most frequently from inferior vena cava (IVC). They are mostly seen in sixth decade, with a female predominance. Their diagnosis is often challenging, as patients may present with non-specific complaints such as dyspnea, malaise, weight loss, abdominal pain, or back pain, preceding the diagnosis by several years. 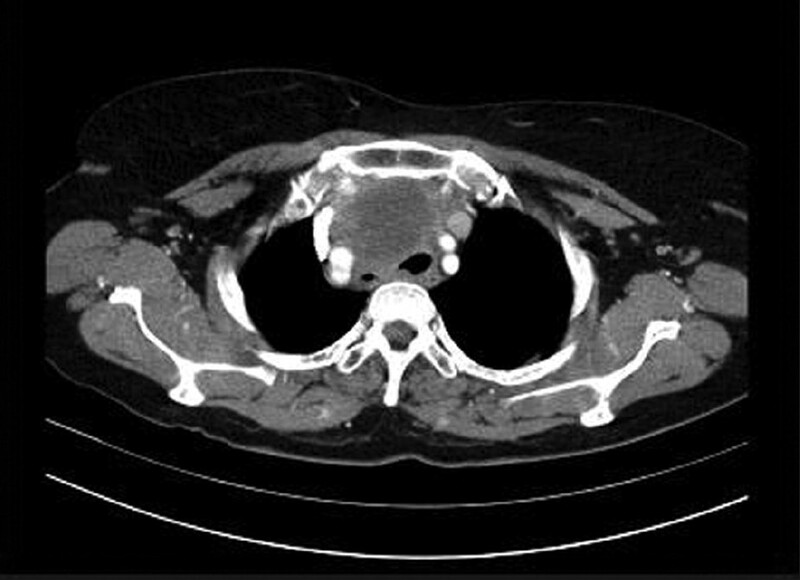 Leiomyosarcoma of the IVC most frequently occurs in the middle segment. The final diagnosis can be made by an ultrasound or computed tomography guided biopsy. Because of limited experience with this disease, optimal management of IVC leiomyosarcoma is unknown. Curative surgical resection remains the current treatment of choice for primary leiomyosarcoma of IVC. Neoadjuvant therapy may be given to downsize the tumor and increase resectability rates. Nonetheless, when complete resection is not possible, debulking combined with radiation therapy still provides good palliation. We, hereby, report four cases of this rare entity with emphasis on management. 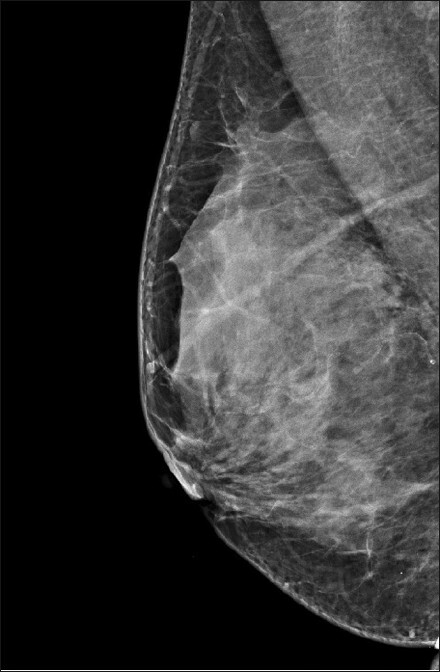 Metastasis to the breast is rare and most commonly represents spread from a contra-lateral primary mammary carcinoma. Metastasis of solid non-mammary carcinoma is very rare and melanoma and neuro-endocrine bronchogenic carcinoma are the more common primary neoplasms implicated. In up to half of affected individuals, there may be no prior diagnosis of malignancy. Breast metastasis by melanoma to our knowledge has never been described to an augmented breast, moreover, to a ruptured implant capsule. 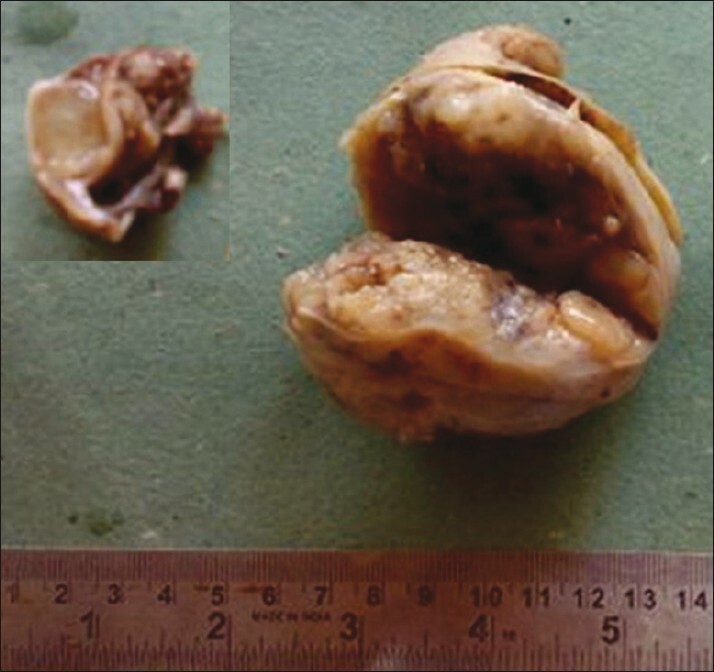 Paratesticular/scrotal and inguinal canal mass lesions in elderly patients may pose a diagnostic challenge to both the surgeon as well as the pathologist. In most cases, these represent hernial sacs with their contents, and true neoplasms like lipomas, rhabdomyosarcomas, and fibrous pseudotumors are infrequent. Malignant mesotheliomas arising from the tunica layers are rare cause of inguinal and paratesticular tumors. 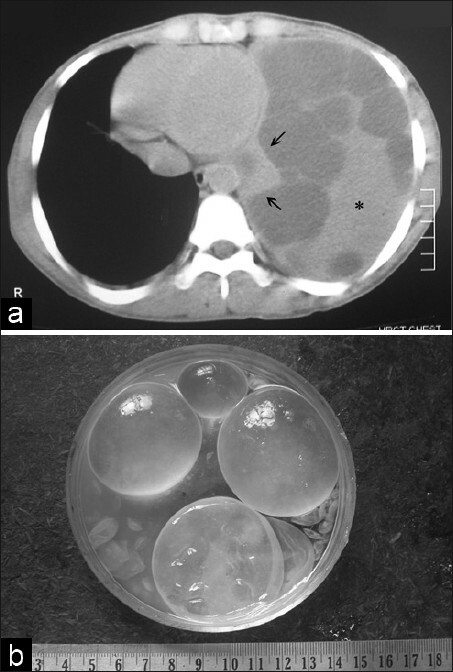 Herein, we report a case of an elderly patient who presented with an inguinal hernia which pathologically had features of deciduoid malignant mesothelioma. Adult T cell lymphoma/leukemia is a peripheral T-cell neoplasm caused by human T-cell lymphotrophic virus-1, affects mostly adults with systemic involvement and poor prognosis. Diagnosis of adult T-Cell leukemia/Lymphoma is challenging. The clinico-pathologic and immuno-phenotypic features of the three cases will be presented. 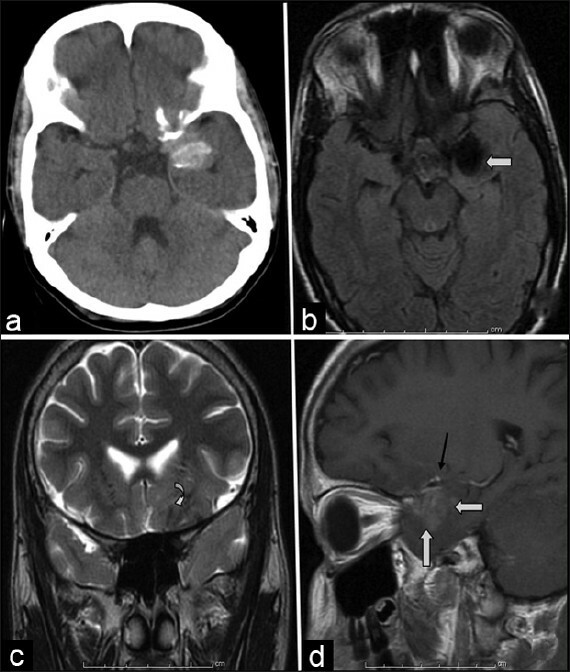 Sporadic Creutzfeldt-Jakob disease (CJD) is the most common prion disease. It is a rare, fatal neurodegenerative disease caused by an infectious protein called prion. The diagnosis can be confirmed only by histological examination of brain tissue. Because of the transmissible nature of the disease, autopsy or brain biopsy cannot be performed at many institutions. 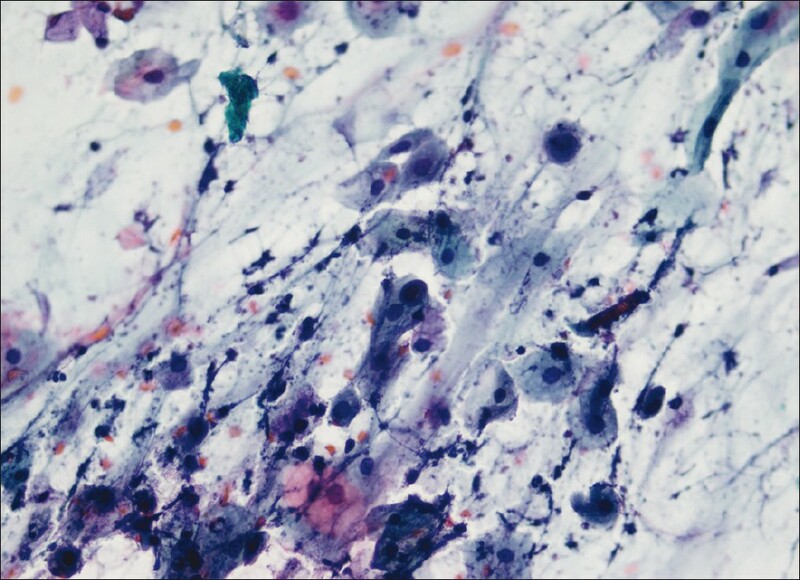 Histology shows spongiform changes, neuronal loss, reactive astrocytic proliferation, accumulation of pathologic protein occurring in three general forms: Sporadic, familial, and acquired form, including a variant form of CJD. It clinically presents as predominantly progressive dementia with a rapid onset, myoclonus, cerebellar, pyramidal, extra pyramidal and visual signs. Occurrence of periodical spikes in electro-encephalogram, observation of cortical signal alterations in magnetic resonance imaging (MRI) studies, and detection of protein 14-3-3 in cerebrospinal fluid substantiate diagnosis. 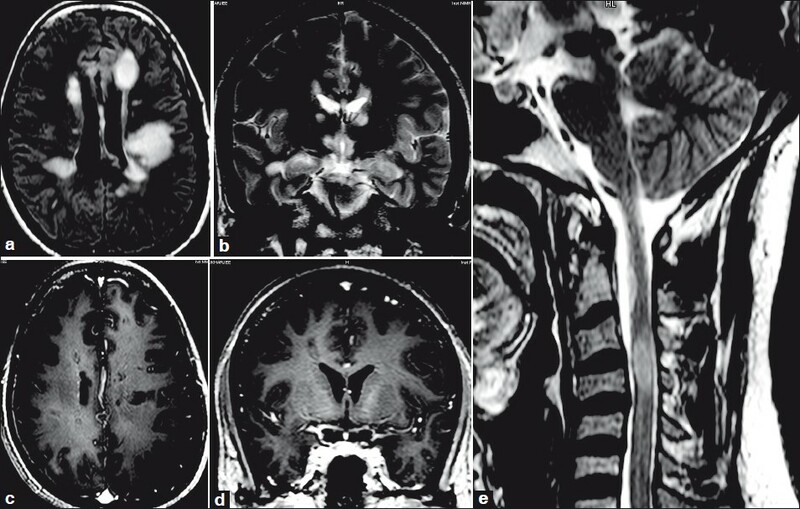 Autopsy case is presented of a 50 year old woman with progressive dementia, typical neurological symptoms, MRI findings and confirmation of CJD on histology and immunostaining. Pallister-Hall syndrome (PHS) is a pleiotropic autosomal-dominant malformation syndrome rarely presenting with genitourinary malformations. Literature has recorded 14 cases of PHS with genitourinary findings out of which only six have been females presenting with hydrometrocolpos and/or vaginal atresia. 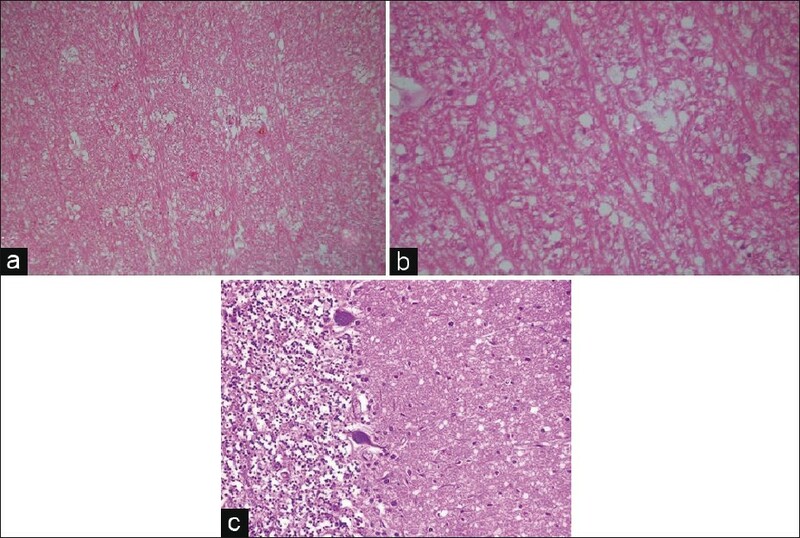 Fetal autopsy findings on a 39 weeks' gestation including demonstration of corticotroph deficiency in the pituitary, along with the review of literature is being presented here. None of the earlier literature pertaining to PHS with hydrometrocolpos and/or vaginal atresia describes an intrauterine fetal demise due to corticotroph deficiency. 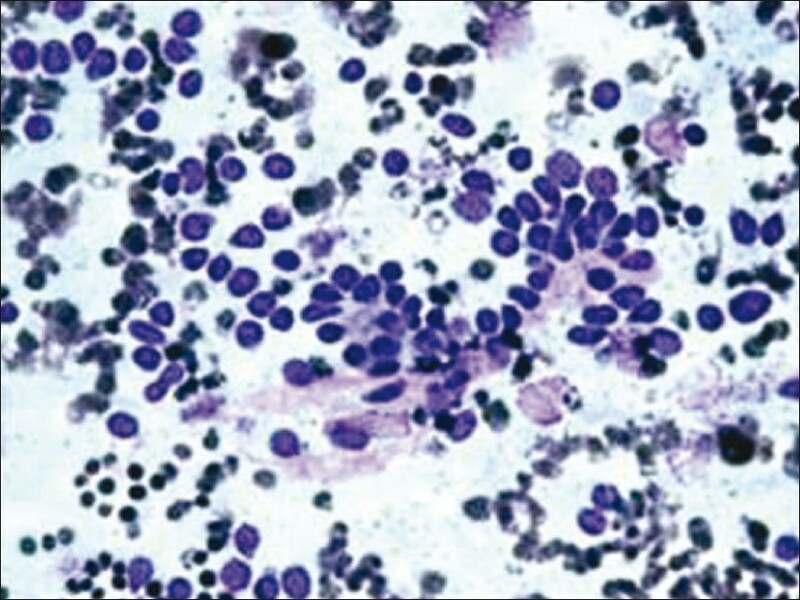 Extramedullary plasmactyoma is the solitary, soft tissue form of plasma cell neoplasm but lack the defining features of medullary or multiple myeloma. 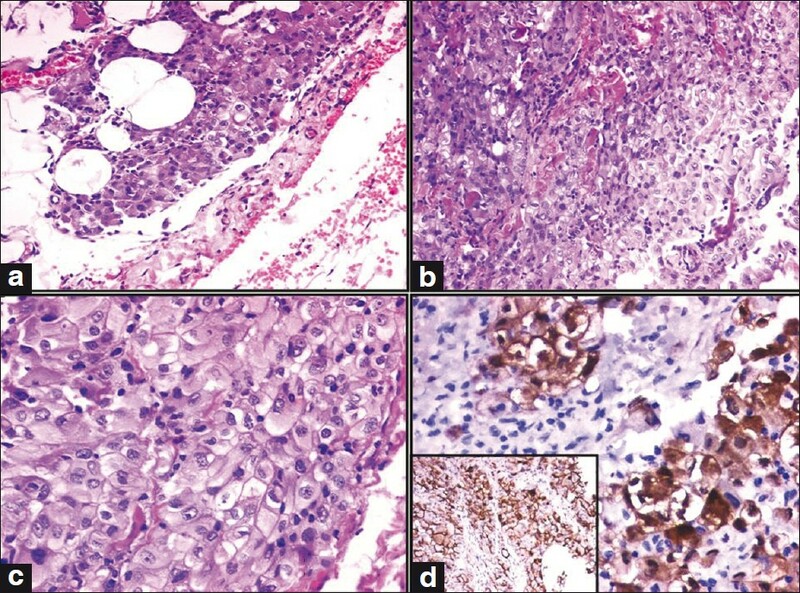 The diagnosis is difficult to make in routine practice setting due to the morphological and immunohistochemical overlap with plasmablastic lymphoma. 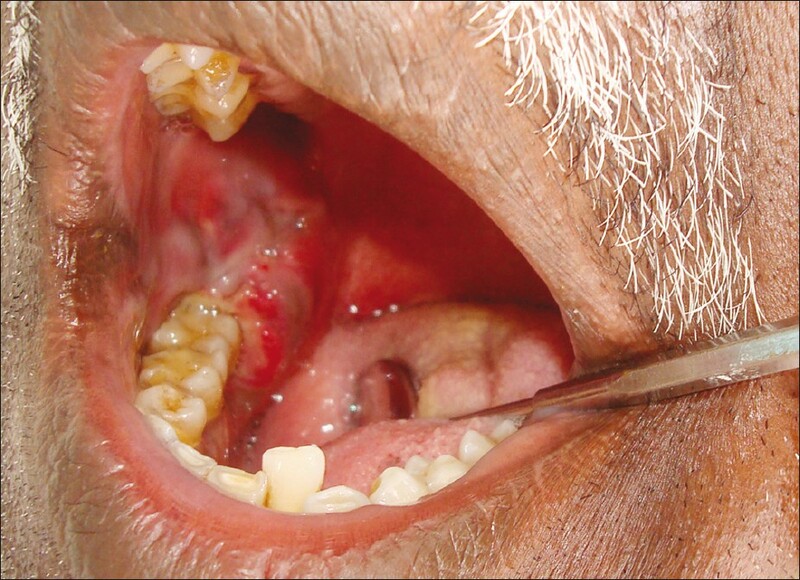 We report a case of plasmablastic extramedullary plasmacytoma in a 52-year-old in the mandibular lingual gingiva and discuss its differential from plasmablastic lymphoma. The gingival mass regressed with primary radiotherapy.